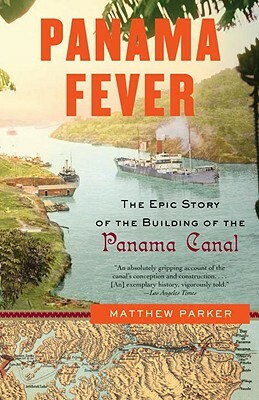 The Panama Canal was the costliest undertaking in history; its completion in 1914 marked the beginning of the “American Century.” Panama Fever draws on contemporary accounts, bringing the experience of those who built the canal vividly to life. Politicians engaged in high-stakes diplomacy in order to influence its construction. Meanwhile, engineers and workers from around the world rushed to take advantage of high wages and the chance to be a part of history. Filled with remarkable characters, Panama Fever is an epic history that shows how a small, fiercely contested strip of land made the world a smaller place and launched the era of American global dominance. Matthew Parker was born in El Salvador in 1970 to an expatriate family, and grew up in Britain, Norway, and Barbados. He earned a degree in English at Oxford University before moving to London to work in publishing. The author of The Battle of Britain, Monte Casino, The Sugar Barons, and Goldeneye, Matthew is a member of the Authors Cricket Club and contributes regularly to the Oxford Companion. He now works as a writer and editor specializing in modern history, and lives in London with his wife and three children.